Hi friend! I’m so glad that you’re here. I feel like I have a lot to tell you because it feels like it was a really exciting week for me, personally and professionally. I also published my vision board for the year. There are some lofty goals on here, but I can’t wait to see how God moves through my life and makes these things happen. I’d tell you that I’ve been reconnecting with some old friends on Facebook and it’s been so neat to see how everyone has grown in changed. I’m also really enjoying connecting with new friends that I’ve met. Everyone has a story and I love hearing about it. People are truly fascinating. I’d tell you that I spent way too much money at the Target dollar spot because everything they have there is just so cute. Their marketing executives were brilliant to create that area because even though most things aren’t a dollar any more, they are still less than what you’d find in other areas of the store. And seriously, my cart is full before I even get into the store! I’d tell you that I have a ridiculous amount of laundry that I have to do tomorrow, but that we had so much fun running errands today and just being together. I absolutely adore Harper and Carl. Truly. Yes, they make me want to scream sometimes, but God knew exactly what He was doing when He put them into my life. Obviously, but you know what I mean. I’d tell you that I am so.proud. of what the amazing ladies in my accountability group are doing for their health and lives. Seriously. Blown away by the changes they have made in just the week we’ve been together. Tell me, how was your week? What was a high point for you? What was a low point for you? It’s been a while since I posted my last Friday Favorites so here I am with another round of things that I’m loving right now. Gallery Leather Academic Planner. I was working on making my own planner from different printables that I’d found online but on a whim I went to Barnes & Noble and found this gorgeous planner in aqua on sale for half price! I did a little squeal with delight because it’s just what I was looking for – an agenda for the day split up into am and pm and then a notes section on the other side. I had been using a daily with the to-dos on each daily page and it just wasn’t working for me. With this set up I can write the appointments that I have for the day on one side and all of the other stuff that I have to get done during the week and I can check it off as it’s done without having to turn a page each day or assigning it a day – because it drives me crazy to have something written down on a day and not do it. 2. Using a backpack instead of a cute bag to carry all of my stuff in. I’ll be the first to admit that I have a bit of an obsession of trying different bags|planners|gadgets to try and find the simplest or easiest way to get something done (see #1) but I’m slowly learning that it’s more about the function of something than how cute it is – so if a backpack is going to be the best thing to corral my stuff – I’m carrying a dang backpack. I’m just using an old one we had around the house and it’s a bit too small right now, but I’m going with it until I can find out what I really want in a bag rather than just buying something else. 3. Aldi. These stores are just getting to us in my part of Florida and I know not everyone likes them but you just can’t beat their prices for veggies and fruits – many of which are organic! Sure, if you buy a lot of boxed stuff and aren’t a big fan of generic brands it may not be the place for you, but the price of veggies and fruit almost make me want to take a separate trip out to go there. 3. My Beachbody Team. Seriously some of the best and most encouraging women I’ve ever met. From my up-line of amazing coaches to the small team I’m a part of to the super small (literally 1 person) team that I lead, I am amazed at how everyone truly roots for one another. And the relationships that we build to help our businesses grow is truly awesome. 4. The Chill Out Pandora Radio Station. Sometimes I just need to tune everything out and work, but I can’t listen to music with words otherwise it distracts me. This station has the perfect mix of funky and relaxing music that gets me into my working groove. Two weeks ago Carl and I decided to go all in and follow the meal plan and workouts for The Master’s Hammer & Chisel. I was super excited when I saw that one of the recipes in the program guide was also a frittata. The day that we made our frittata we didn’t have some of the ingredients listed in the original recipe so we used what we had. Total time: 47 min. | Prep Time: 20 min. | Cooking Time: 27 min. Heat oil in 12-in. nonstick oven-safe skillet or cast iron pan over medium-high heat. Add onion, zucchini, and bell pepper; cook, stirring frequently, for 4-5 minutes, or until soft. Add spinach; cook, stirring frequently, for 3-4 minutes, or until spinach is wilted. Remove pan from heat. Set aside. Combine eggs almond milk and garlic powder in a large bowl; whisk to blend. Season with salt. Pour egg mixture into skillet; return to heat and cook over medium-low heat, stirring frequently with rubber spatula for 6-9 minutes, or until egg mixture has set on the bottom and begins to set on top. Place skillet in oven. Broil for 3-4 minutes, or until lightly browned and fluffy. NOTE: Check middle and edges of frittata with toothpick to make sure it’s cooked all the way. Keep in oven for a few minutes longer if it’s not. Cut into 6 servings and serve immediately. Frittata can be prepped and combined the evening before and stored in the refrigerator until cooking. Frittata can be stored in the refrigerator for up to 4 days in an airtight container. 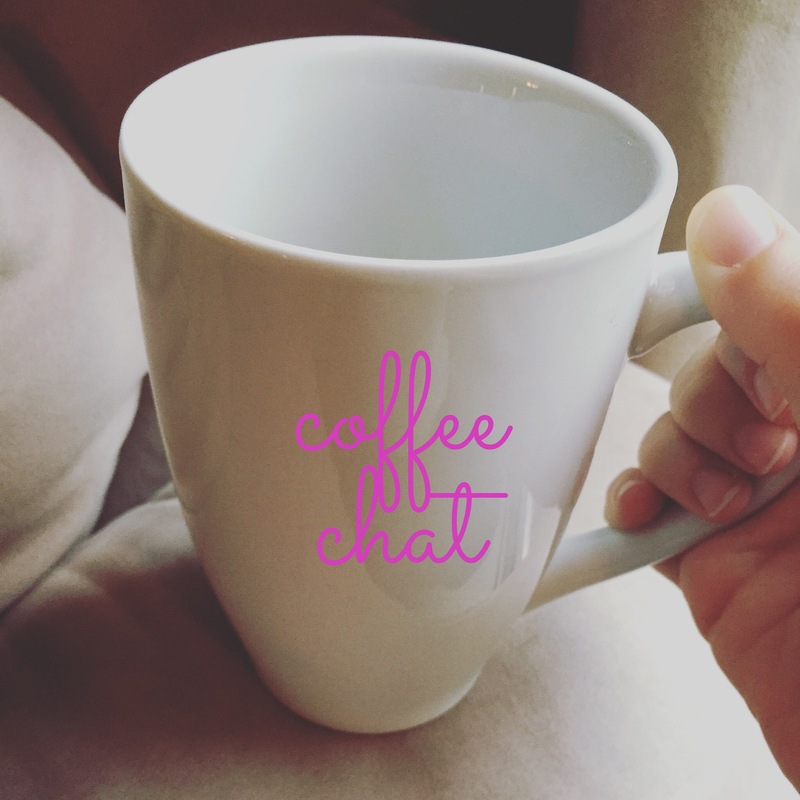 I know it’s been a week since I last posted but I really enjoyed doing the Sunday coffee chat so I wanted to keep it going for this week too. This week, if we sat down for a cup of coffee, I’d tell you that I have been working on my 2015 year in review post and it makes me really sad to see pictures of Gramps, knowing that he won’t be in any of my pictures this year. I miss him so much even though we didn’t talk on the phone in the last few years because he had a difficult time hearing, I just miss knowing that he’s there. I miss knowing that the next time that we go home I’ll see him and eat some of his amazing cooking. I’d tell you that I am honestly enjoying my teaching position now. I’ve waited all year to say that and while I do still wonder if I’ll go back into the classroom, or leave teaching entirely, I am so thankful to work with the amazing ladies who support me and have such a passion for the students they teach. I’d tell you that on Saturday I had the opportunity to attend my very first Super Saturday as a Beachbody Coach and I absolutely LOVED the energy the group had. I learned a lot of new tips and information which sparked a lot of ideas on how to grow my business into something amazing this year. I’d tell you that today we went to church and the message was on Dreaming Ridiculous Dreams and I cried from nearly the moment we walked in until the moment we left. It was so powerful and gave me peace and hope for the vision Carl and I have for our lives. I’d tell you that I am absolutely loving the Hammer & Chisel program that Carl and I are doing together! We are one week into the eight week program and are already seeing some amazing results – both physically and mentally. We have less cravings, less mood swings, and are seeing the value in using the containers to portion out our foods to make sure that we are getting in enough veggies|fruits|protein and not too much of the carbs|fats. I can’t wait to see what the next weeks bring! NOTE: This is actually my second week but because Carl decided to start I repeated the first week instead of moving on. Tell me, how was your week? What are you looking forward to for the week to come? Good morning, friends! It’s good to see you again and welcome to 2016! I’m still going to do a 2015 recap and a post about it word and focus for the new year but I thought it would be fun to just chat about life. As though we were able to get away from our lives for a few hours and have a cup of coffee with each other. I’d tell you that yesterday we drove around town trying to find an area that we want to live. We have 100% found a location, floor plan, and even a lot. And while that is super exciting we are still going to wait before we move forward. Yes, I know the interest rates are going up. Yes, I know the home prices are going up. But Carl still wants to focus on following the Dave Ramsey plan. It kills me a little on the inside to wait and follow the plan but I’m working on having faith that God’s plan is far bigger than either of ours so when it’s time to move forward we will have a huge, burning bush as a sign. I’d tell you that our current townhouse is more organized than it has ever been before and I love it! We still have spaces to go through but our room and closet, the living room, and Harper’s room and closet are done. Books are next and then the garage! I’d tell you that I started working out with Hammer & Chisel on Monday and that I absolutely love it! It’s a fusion between 21 Day Fix with Autumn and CrossFit with Sagi. It brings me joy. I’d tell you that Carl and I found Blacklist on Netflix last night and watched SIX episodes before finally going to sleep at 1:30am. It’s that good! What would you tell me about this morning? I know it’s Christmas Eve but this sugar cookie recipe was too good not to share. We found it a few days ago when we were going through my grandmother’s old cookbooks and decided to make traditional sugar cookies for Santa rather than buying them from the store. I’d love to say that these are super healthy, but they aren’t. They are, however, delicious. Not too sweet, not too buttery. Just perfect. If you like your cookies more on the sweet side I’d recommend that you add lots of sugar on the top. Or just let your child do the decorating because tons of sugar on top will happen anyway. For the colored sugar topping we just mixed some food coloring to regular sugar. Sift flour with baking powder, soda, salt, and nutmeg; set aside. NOTE: We refrigerated the dough in a log shape overnight. NOTE: Carl cut the log into small sections so we could work with the dough a little at a time without it getting warm. Meanwhile, preheat oven to 375F. Lightly grease cookie sheets. On well-floured surface, roll dough, one part at a time, 1/4 in. thick. With floured, 2 1/2 in. cookie cutter, cut out cookies. Using a spatula, place, 2 in. apart on cookie sheets. Sprinkle tops of cookies with sugar or other toppings of your choice. Reroll trimmings, and cut. I know a lot of people think of a traditional “Transformation Tuesday” as a physical picture of progress. Often times it’s someone’s picture in a sports bra (for ladies) or shirtless (for guys – this is a family blog, after all!) showing off their amazing abs or doing a flex pose showing off their amazing biceps. Those are all awesome accomplishments, and at some point I’m sure you’ll see them on here too, but today I want to share a transformation of a different kind – a transformation from the inside – a change in my mindset. One of my favorite things about becoming a Beachbody Coach is the company-wide focus on personal development. The belief that in order to help others be the best versions of themselves and reach their goals, we have to do the same. This is where I’ve had the most growth in the last few months. Really believing in myself. Really believing that I have value. Really believing that I can help others in reaching their goals. Really believing that I’m enough. Like anything, all of these beliefs take time and constant reinforcement. I make an effort to listen to personal development every day and when too many days pass without me taking the time to do it, I feel it. I become more negative and the negative self-talk begins again. So today I’m celebrating “Transformation Tuesday” by celebrating the person that I’m becoming on the inside. What is something simple you can work on to transform you today?